Watch this TED talk by Ron Eglash on African fractals. You can create your own fractals with this simple tool. Another tool that does a similar job through more iterations is the Fractal Maker. You can do fractals with simple video loops, as discussed in this video. You can also of course create videos and loop them in order to do an “infinite zoom” on a fractal. 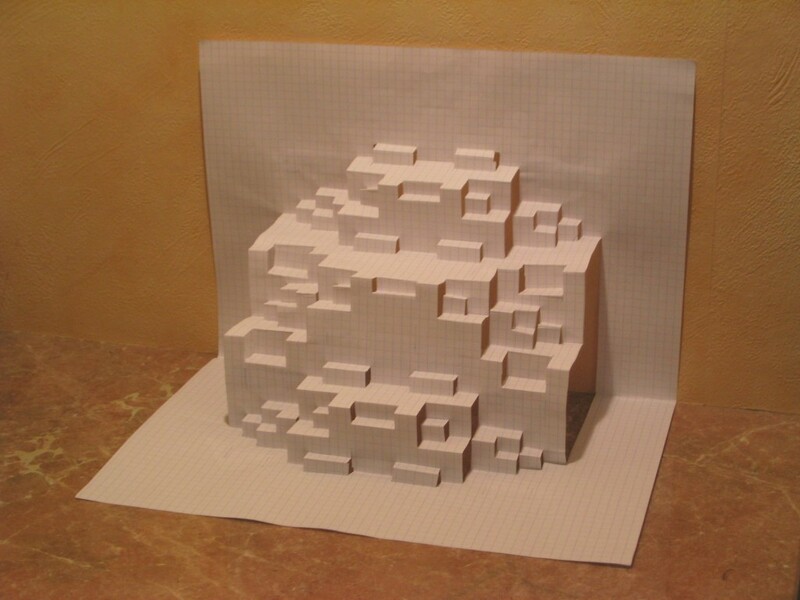 Architect Michael Hansmeyer gave a TED talk on some of his algorithmic work and you can see more at his website. These worksheets go through several well-known fractals. Chaos Pro. Freeware for Windows. Fractint. Freeware for Windows. There’s an add-on that allows you to create animations. Scott Draves is well known in computing graphics circles for the creation of the open source flame fractal algorithm behind the Electric Sheep screensaver ( available on google play/ app store), and the fractal flame editor Apophysis (freeware for Windows). I found an interesting talk he gave that’s worth checking out if it interests you. Fractal Domains. Shareware for mac. Recursive Drawing creates tree fractals. L-system fractal creator: A bit more challenging than some of the others, but can be great fun to play around with. Short video about the Mandelbrot Set — Images for this film were created using Chaos Pro (see program list below). Java Fractal Generator. Creates images of Mandelbrot and Julia sets. One nice thing to do with this program is to select Julia Plane near the top, then click “Render” at the bottom and then to use the small Mandelbrot image in the lower left to select different Julia sets. You can also use this to explore different sets related to Julia and Mandelbrot sets by selecting a different equation at the top. Always remember to hit “Render” after you make a change to see the new image! Mandelbrot/Julia Set Plotter by Dan Gries. Here are instructions. This program can be used to explore the usual Mandelbrot set or to explore a four-dimensional space that contains both of the Mandelbrot and Julia sets. Play around with the “Bounds” tab after scanning the instructions to see what kinds of images you can get. Julia Sets at Shodor Interactivate. This produces fairly low-res images of Julia Sets corresponding to different constants. Mandelbrot Set at Shodor Interactivate. This produces fairly low-res images of Mandelbrot Set with option to see corresponding Julia set if you click on point of Mandelbrot set. Disadvantage is that it is very hard to determine where you are “at” in the Mandelbrot set as you zoom.